Another scetch drawing. THis time it's legato Bluesummers from Trigun. Trigun is owned by Yasuhiro Nightow. Bless him! 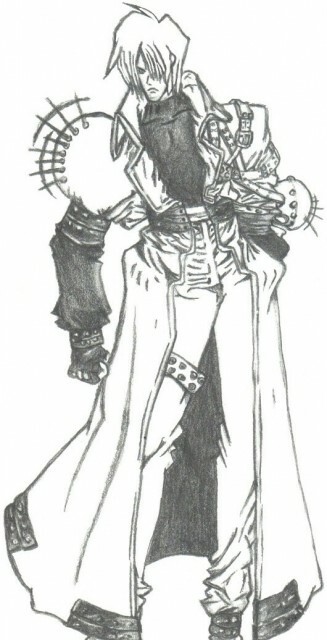 I drew this out of the first volume of Trigun. I misjudged the length of Legato-san so his feet didn't quite make it onto my page.